As a practicing physician, I found this eBook to be very interesting and useful. Much of it describes concepts and metabolic processes for which there was limited knowledge or were completely unknown when I was a medical student. The information presented provides undergraduate, medical and pharmacy students with useful information about the indications for and applications of modern medicinal chemistry. It will also help currently licensed physicians prepare for Board certification and recertification. Many of the old questions may have new answers. For example, 30 years ago, it was believed that genetic information could flow only from DNA to RNA to proteins, or that patients could not develop an autoimmune disease. Thirty years ago the correct answers would have been yes – now they are no! I also found the eBook to be very helpful in describing medicines that I currently prescribe to patients and new drugs that are being developed. A patient may frequently ask, “Why aren’t doctors doing more to find cures for common diseases”. The information in this eBook provides useful answers. I am also frequently asked questions about nutrition, dietary supplements and environmental toxins. The information about these subjects was written in clear, simple language that most people can understand. For example, I am frequently asked if it is beneficial to take the popular supplement, açaí, to help lose weight. Not being from Brazil, I didn’t know anything about it. This eBook talks about how açaí contains 50% fat, as triglycerides. It is an excellent source of calories and antioxidants for undernourished natives and highly comptetive athletes who need more calories. Consumption of açaí will actually make you gain weight. Other important and useful information regards the environmental toxin and endocrine disruptor, bisphenol A, or BPA. The popular literature and mass media debate whether microgram quantities of BPA in plastic products are harmful, but they ignore the milligram quantities of BPA that are found in most receipts that you get from ATM machines and cash registers. It is especially important to not let infants put such paper in their mouths as they explore the world orally or make spit wads in school as adolescents. It could harm their reproductive development. So, the eBook is very readable and has a multi-disciplinary approach. It teaches the kind of things that I would like to see medical and pharmacy students learn and could even be useful to laypeople. This eBook was written as a textbook for a course in medicinal chemistry for students who have had freshman chemistry and organic chemistry. It can be used in standard courses for pharmacy students and for students who are trying to get into medical, dental, pharmacy or graduate school. Moreover, people working in the pharmaceutical industry and doctors preparing for Medical Board Exams will also find it useful. Since new drugs are being developed by multi-disciplinary teams, this eBook comprises a multi-disciplinary approach. Chemists, biologists, physicians, mathematicians, engineers and computer scientists will read some things that are familiar to them and they will learn about each other’s disciplines. It describes the new paradigm that is emerging in modern biology, biochemistry and medicine. It is a fusion of traditional and western medicine and between systems thinking and reductionist thinking. It tells how new drugs are investigated, developed and eventually approved by the FDA. Although most currently approved drugs were developed based on their abilities to affect a single therapeutic target, new drugs will affect many targets simultaneously. Instead of binding to the active site of a single enzyme, allosteric inhibitors will partially inhibit many targets simultaneously and have quite fewer harmful side effects. It also talks about high throughput screening and data mining to look for new chemical entities that might become new drugs. Drugs that target enzymes, membrane bound receptors, DNA, microtubules, RNA, ion pumps and transporters are described, along with ways to improve the lead compound through rational drug design. The eBook talks about cGMP, GLP and the regulatory process. It describes the analytical methods that are used to verify the productivity of right drug without any impurities. 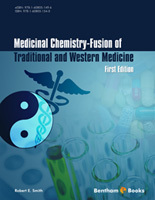 It also has chapters on toxicology, nutrition and dietary supplements. The importance of environmental toxins in autoimmune diseases is discussed. Practical advice is presented, especially when it needs to illustrate an interdisciplinary approach and unexpected connections. The role of environmental toxins, such as bisphenol A (BPA) and perfluorooctanoic acid (PFOAA) in autoimmune diseases is discussed. It also includes descriptions of the basic science behind cancer, heart disease, metabolic syndrome, infectious diseases, inflammation, reproductive medicine, the biology of information flow, the nervous system, immune network, vaccines, autopoiesis, systems biology and network theory. Finally, this eBook was written for the course I taught at Park University. The topics discussed in this eBook should not be taken as reflecting FDA policy or regulations.